Independence from Britain might be feasible, should the UK’s withdrawal from the European Union jeopardise Bermuda’s business interests, said finance minister Bob Richards. “We still don’t know which way is up,” Mr Richards cautioned of Brexit — the UK’s shock referendum result of June 23. “It’s my opinion, not the opinion of the Bermuda Government, and it is the same as it was in the late 1990s; it has not changed — but I have more context to put it in from my experience with this job over the last four years. “We don’t know how this is going to pan out as it relates to Overseas Territories. We can speculate, but we don’t have any evidence. The minister said he had discovered during his tenure that “on a number of issues, we are not on the same side” when it came to Britain. “The tax haven issue is one that was visited upon us by the UK; the Cameron Government was on a crusade to do something about tax havens. 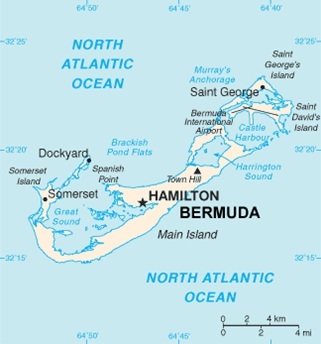 A “groundswell” of anti-haven sentiment in recent years has led some to believe that Bermuda was somehow “taking money out of their pockets”. The past few years have seen sharply worded responses by Mr Richards and Michael Dunkley, the Premier, to charges of financial impropriety from across the Atlantic. While Mr Richards said the island was “a long way” from such a drastic move, tides could turn. As far as Brexit’s true implications go, Mr Richards said the island was in the early days. Recent speculation had the invocation of Article 50 possible by the close of 2016.